Do you know who Wang Jianlin is ? He is since 2013 the richest man in China according to Forbes, with a fortunes evaluated around 8.6 billion dollar, he is 58 years old and he is leading the 122 other Chinese billionnaires. Wang Jianlin was the eldest son of a family of five brothers and sisters, born close to the Tibetan border in the west of Sechuan province. His father belonged to the red army from the early beginning in the 1930s. Young Wang Jianlin whishes to follow the family track and at the age of 15, he enters the army, something not that easy at that time, and will be a soldier for 16 years. When he turn 31, in 1986, there is a drastic plan to reduce the size of the army, and one million soldiers have to go back to civil life. Wang Jianlin is on the list and has to find himself a new life since he will never become a Chinese general as was his dream. He then becomes a businessman after following a short course at the University and a few months in the administration. This is a success stoty, right ? And as any success story there is decisive moments when everything seems to be lost. In 1989, Wang Jianlin enter a small real estate company that seems doomed to fail. There is too much debt, he become CEO, turns the company into his own, chanes its name, the company becomes Wanda China and he begins to built apartments, shopping malls and ambitious projects all over China. Everything in his success is based on speed. Wang Lingjin had contacts with officials, explained them that he could complete the real estate projects in less than 18 months, which enabled them to claim politcal success before the date they had to change affectation in the Chinese administration. There was real marketing too, in addition to political marketing. 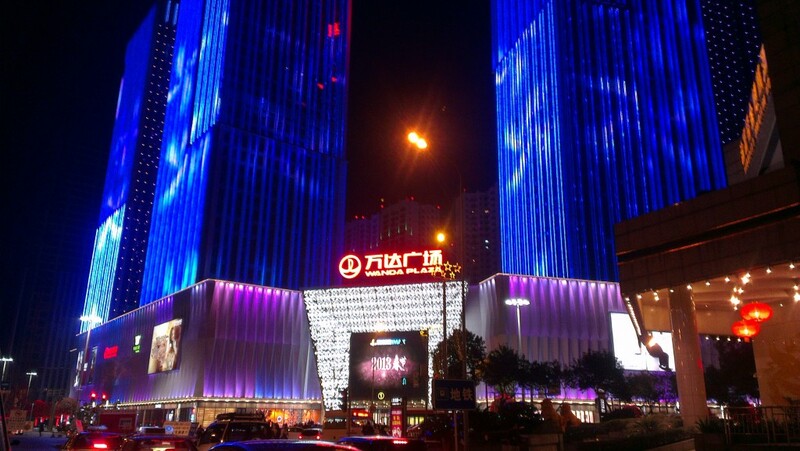 Wang Jianlin targeted the Chinese rising middle class, building attractive appealing leisure centers, luxury brand retail space, movie theatres and selling apartments at the same location, at cheap prices thanks to the assistance of the Chinese banks that he convinced of the dynamism of his business schemes. Wang Jianlin sums up his management methods in a simple way : to focus on a simple task and achieve it the best possible way, this is the simplest and the most difficult thing to do. He is a practical man, and he expects 100% loyalty from his employees. When he whishes something to be done, it has to be done on short notice and without any delay. The failing employee has to pay a fine. The success is impressive : Wanda owns now 75 Wanda Plaza shopping malls in 60 Chinese cities and 50 more are plaaned to open before 2015, there is 40 luxury hotels, 70 karaoke buidings. Wang Jianlin owns 100% of all this, or almost 100% since his son now owns 2%. 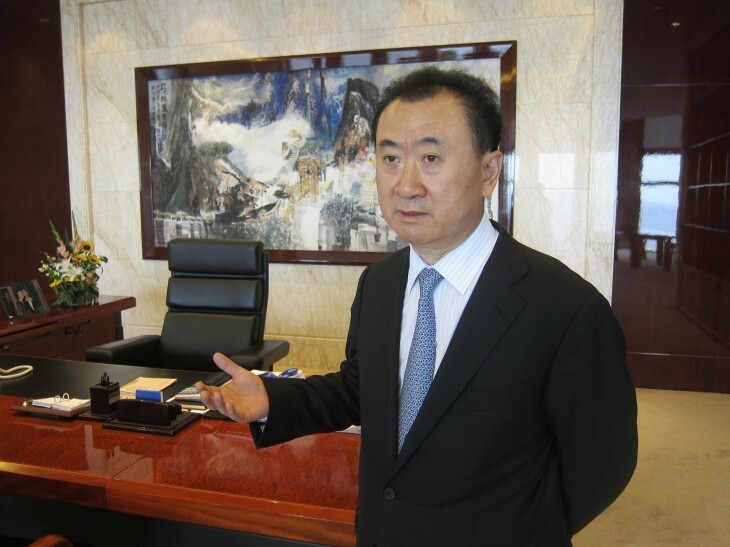 Is 2013 the Wang Jianlin year ? Why has Wang Jianlin become the richest man in China in 2013 ? It is quite simple, he anticipated the politic change from the Chinese government regarding real estate and the fears about a real estate bubble in the residential real estate. He decided to invest essetially in the commercial real estate, a sector which is less controled by the state. His assets value increased a lot and he bacame the fist fortune of China. In the meantime, he decided to invest abroad and to conquer the world, for example in London where, according to him, prices are more interesting than in Beijing and he bought the highest european residential buiding, in Nine Elms. In China, he remains very optimistic and does not see any real estate crisses threaten his activities. In 2012, he diversified his activities and bought AMC, a company specialised in movie theaters, with a networlk of 6.000 screens in the world. Together with this purchase, there is ambitious projects about producing movies since Wang Jianlin, with 20% of the movie distribution in Europe and in the United States, he is now a major character in this industry. One third of China’s wealth will be invested abroad in the incoming decade, which amounts to 30 billion dollars a year, but China will not be neglected. The city of Qiangdao was, until now, kown for its brand of beer, Tsing Tao, but the will of Wang Jianlin may be going to change all of this. He annouces last month the building of the largest cinema studio in Qingdao, 10.000 sqaure meters, a project naed “Oriental Movie Metropolis”, with 5 billion dollars of investment. The opening ceremony took place on september 22, 2013 with guest stars such as Leonardo di Caprio, Nicole Kidman, Ewan McGregor, Kate Beckinsale, Catherine Zeta-Jones. He announced his will o create production companies with wordwide brands to project movies on the 6.000 Wanda AMC cinema screens. After China, United States and Graet Britain, Wanda executives are now having a look on France; Brazil and Australia. 2013 is an important year for Wang Jianin, but it might only be a beginning in the settlement of a global empire. 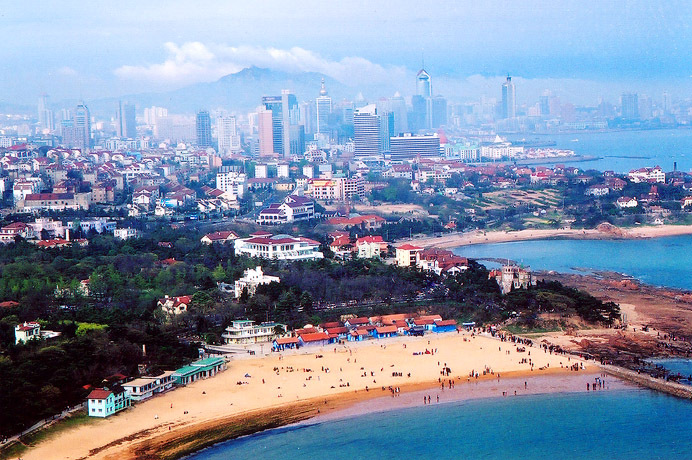 Chinese people and real estate : buying properties & apartments abroad !